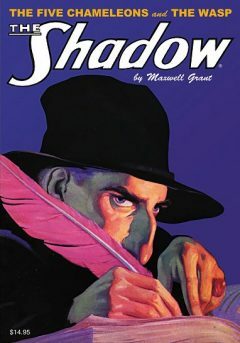 Anthony Tollin’s Sanctum Press for many years now has been reprinting the entire series of novels published in The Shadow Magazine. Each 7×10 edition includes two novels, complete with their original blurbs and illustrations. Additionally, each sports historical essays by Tollin and/or Will Murray, covering various phases of The Shadow’s career and those of his chroniclers. Many of the early numbers are now out of print. We’re offering the first 60 volumes—all of them unread and in New condition—for considerably less than half the aggregate retail price.